Interactive on the web is changing at a rapid clip. The path of the next wave of ineractive and gaming on the web is beginning to materialize. Adobe is going low level with Flash ‘Molehill’ 3D and hardware acceleration platform that companies like Unity will be including as an export target. Microsoft has finally laid out their plans. Silverlight is alive with Silverlight 5 / 3D powered by XNA (any surprise? guess it isn’t dead) and hardware acceleration throughout Internet Explorer, this appears to be Microsoft’s version of the future. Plugins like Flash, Unity, Silverlight, others will continue to push the bounds cross platform where standards cement the technology behind it for a platform to reach the next innovative step. Mobile has blown up the scene with native and low-level focus, causing web platforms to also go low level for more performance thanks to Apple and now Android. Native languages like C, C++ and Objective-C came roaring back as the hardware was reset a bit back to late 90s/early 2000s processor and graphics power. However with mobile and cpu cost on platform as service system, native will stay more over the coming years. Games, interactive and entertainment projects and apps are going to be even more fun. New opportunities all over the place. Game on! Microsoft has finally laid out their plans. Silverlight is alive with Silverlight 5 / 3D powered by XNA (any surprise? guess it isn’t dead) and hardware acceleration throughout Internet Explorer for canvas/html5 focus apparently aloongside Silverlight for deeper graphical needs or changes. It was originally outlined back in April at MIX 2011, but it shows their path and answer to WebGL/Canvas and standards for interactive and game development on the web (plus I have been busy on two titles, one for iOS and one for both iOS and Android, gotta say it is nice to see how fast your app gets posted to Android store compared to iOS…). 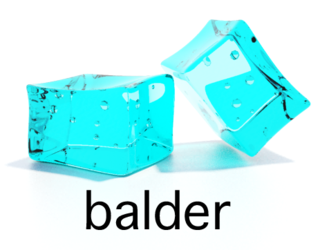 There are some nice examples of toolkits being developed such as Balder 3D and JigLibX pulled from this experiment. 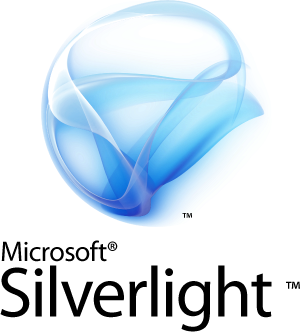 Silverlight launched in 2007 to compete with Flash as a rich media and internet app toolkit. Microsoft had failed before with Liquid Motion competing with Flash back in late 90′s early 2000′s. Now, over 10 years later, Silverlight might be dying as a technology that was another competitor to Flash, due to poor timing and lack of committment. Now Microsoft has all but confirmed that Silverlight is losing steam. I asked Bob Muglia, the Microsoft President in charge of the company’s server and tools business, that very question and got what I consider to be the clearest answer yet about how Microsoft is evolving its Silverlight strategy. Silverlight will continue to be a cross-platform solution, working on a variety of operating system/browser platforms, going forward, he said. “But HTML is the only true cross platform solution for everything, including (Apple’s) iOS platform,” Muglia said. Silverlight was launched as a competitor to the Flash Flex framework and competing with Flash video most of all. This was before the H.264 battles, right when the mobile scene blew up and changed the game immensely. It was actually nice when it launched because it pushed Adobe on Flash and Flex (Flex was even later merged into the Flash brand to help it be more consistent like Silverlight). This was good for the whole interactive space. Microsoft is now going with an HTML5 strategy. The odd thing is that the Windows Phone is entirely Silverlight driven, no html5 support. So is Microsoft going to leave their new mobile platfform high and dry due to this change in strategy? It just seems so short sighted and reactionary over at MSFT that everything is wavering. Who’s developing just silverlight for just Windows Phone? The timing of them stating this couldn’t be worse for Windows Phone. Microsoft’s html5 strategy is hardware accelerated, something that Silverlight only partially has like Flash (though Adobe is changing that). It is apparent that mobile has changed even the rich internet applications game as well as gaming in that we are back to multiplatform, native apps and non browser plugins for web content (mobile devices support no web browser plugins at all let alone Flash or Silverlight). Still for the next 2-3 years limitations in hardware on mobile devices prevents anything software rendered to be fast (including html5 canvas and svg if there is no hardware acceleration), and due to this slowness, not able to compare/compete to compiled native apps that do have hardware access. This has forced Adobe and now Microsoft to change their strategies to get through it. We may see a resurgence of Flash and Silverlight like plugins on mobile browsers but not for years. The only real place we see Silverlight is over at Netflix (maybe they will go html5 video or Flash video) and on Microsoft shop client apps. It appears with no support from Microsoft it will fall out of favor faster. Microsoft developers are usually forced to go with what Microsoft is recommending as much of it is sold through a business channel rather than developers now. It is good html5 and standards will be more prevalent in that ecosystem as long as they don’t start marginalizing it to proprietary elements. But if you step back and see the rumors a week ago that Microsoft might be interested in Adobe, the mobile surge and strategy shifts at Microsoft, it seems to send out a clarion call that Silverlight is over or the credits are about to roll. The mobile surge, standards, native, hardware acceleration and cross platform aims of current market leaders, we have the new game, again. It doesn’t appear like Silverlight was, or will be, a success. The sample browser will show you what Balder is capable of and it has come pretty far since the first version showing a wireframe teapot. You know you’ve made it as a 3D engine when there are Augmented Reality apps for it. Silverlight 3 has been released a day early. Granted there are lots of years of gain that Flash has on Silverlight but the path that Silverlight it following leads right to Flash. Hopefully this will lead to more innovation on both sides (they might need it with Google Wave pushing html5 <canvas>). One very nice element of Silverlight since it has been released at verison 1.0 is the HD video support. It has gotten better with each release. This release has smooth streaming support that is pretty impressive for web video. 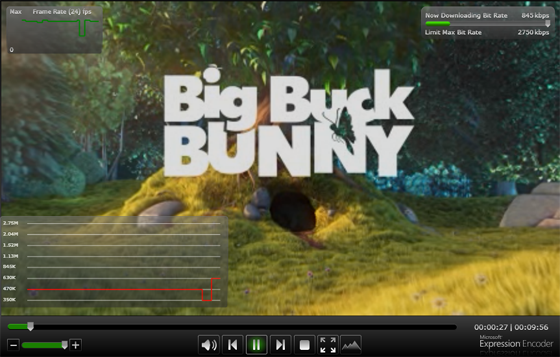 Interestingly they chose the open source Blender Foundation project Bug Buck Bunny to demonstrate the smooth streaming feature. Ryan Rea has a bit of analysis on how well the video plays across a quad core and memory compared to flash hd video. More on the Silverlight 3 new features here and here. Roy Schestowitz plays the flip side and calls this a ‘silver-lie’ released and has lots to say about the Silverlight 3 release and even using Big Buck Bunny to demo it. He states a true fact that up til now lots of companies have abandoned Silverlight in favor of Flash (mlb, nyt etc). It is still used at Netflix but that has an XBOX deal to play Netflixon xbox360. Flash didn’t really get good until version 4. Typically software is a real version at version 3, that is when most software has the goals and ambitions of 1.0 fully complete and integrated. We shall see how things play out but I still think Silverlight has a long way to go in winning over developers, myself included, but competition is never a bad thing when you are wanting to see innovation. Here is a video with more information on Silverlight 3 Beta features that are matches of the latest Flash killer features in pixel shaders, 3d planes (ability to create pseudo-3d engines like papervision3d), local saving, pixel operations/bitmap handling, local messaging (silverlight to silverlight – like localconnection), out of browser desktop running ability of SL3, SEO and search indexing capabilities / deep linking navigation and more. A few points after the video and taking a tour of the features. The pixel shaders are written in HLSL (shader 2), however they are compiled to byte code and do not currently use the gpu for rendering. While the pixel shaders are very cool and the language to write them is standard pretty much for shaders in HLSL shader model 2 DirectX-based (the other is GLSL OpenGL based) they have not allowed this byte code to run on the GPU… yet. Here Flash and Pixel Bender actually are ahead there. Although there are 3d planes which is very exciting, no good pseudo 3d engine exists yet matching the 3 in flash (papervision3d, away3d, sandy). When SL3 comes out I am sure we will see a few emerge or build them ourselves because this iteration of SL3 looks pretty fun. Pixel based operations will be a huge advancement much like it was in earlier flash versions as it adds some demo scene type abilities and experiments with pixels that are fun. This also lends to doing cool things like shaders, effects, AR, face recognition, motion detection etc. Effects like Blur and Drop shadow are good and the ability to add custom ones, great. However currently they are pretty performance intensive. They are also in Flash but there needs to be some refinement in SL3 effects before launch. Desktop runnable apps in out of browser will be nice and this is a direct compete with Adobe AIR which was a surprise. Local Communication supports desktop to browser communication. Isolated storage (similar to shared objects) supports 1MB in browser, 25MB out of browser defaults. This version of silverlight is really a 1.0 version as typical with most software. Version 2 or version 3 is usually what the initial design goals pan out. Much like the latest unity3d version (2.5) that has windows support and the iPhone SDK 3.0 that both came out this week, even actionscript 3 compared to earlier versions, these toolkits are finally iterated enough that they are really solid platforms for building cool stuff on and become platforms. The next version of all these could be very, very dangerous. Although there are some great features in SL3 beta, it is still not done and it is still missing some key components that Flash has which make it very attractive in the interactive space. Camera and Microphone support - Macromedia hired one of the smartest dudes around in Jeremy Allaire back in flash 6 days to help add support for Flash Communication Server (Flash Media Server now) Camer and Microphone support. One of the best R&D periods at Macromedia. SL needs this soon. No GPU usage for Pixel Effects/Shaders – (neither flash nor silverlight support hardware accelerated shaders in PixelEffects/Pixelbender – Pixel Effects/Shaders need GPU support (see Kevin Goldsmith’s article on GPU mixed with CPU and how this may or may not be good. However processors are speeding up and multi-core helps software rendering, the quality of GPU is well beyond what software rendering can deliver for a few years to come at least while architecture advances, probably more like 5-10 years. No Alpha Channel in Video - You can do this with a shader though but not supported by default. Flash has the upperhand in video and probably will still even though SL3 has H.264. Flash added this at the same time and though they still have FLV which revolutionized web video they are now much broader in support in video than SL3. Silverlight has H.264 and VC1 support (their own FLV like codec). Still pretty cool a couple years ago there was no HD on the web now everyone has it in H.264 video support. Silverlight 3 beta and the video below the features and highlights will look very similar to flash and flash community advancements over the last couple years. There is no innovation just yet. But where that could happen is in socket support with UDP. Flash has moved on this in RTMFP and the beginning of larger scale networking support with UDP with samples like stratus. This is a huge differentiating feature for what I think will be game changer on the web (it already is on desktop mmos) in real-time or closer to real-time support for larger sets of users in online games like MMOs or virtual communities, even tools to make request based real-time sites like micro-blogging faster and able to handle more users (right now it is very linear if users get many followers, UDP will allow a better distributed framework for messaging). Silverlight and Unity3D all need this, Flash could use better support for this. Local saving of a files for cache beyond the internet cache and greater than the 1MB/25MB limits of SL3 IsolatedStorage. This is an issue when you are making large scale games in that you need to save lots of assets to a client but to make it economical you want ot save more than the default internet cache amount. Flash Shared Object (Local) allow you to do this somewhat but it would be great to have a way to just download files for cache (upon user agreement) to store assets in bulk of allowable types (images, video, models, bundles) to the file system. Hardware rendering for 3d support and UDP support will put Flash and SL3 on par with the killer Unity3D kit for making online web games and other activex/plugins like instantaction that allow you to do these things already. Flash and Flex are great. But there is this massive division in the community and marketing of Flash. Silverlight is entirely unified and this has much to do with starting clean at a time that interactive development is heading more into a technology and developers control. Flash and Flex need to bring it together. AS3 has been out long enough that the people with skills have hopped on and taken it to a new level, mainly from programmers. If Adobe created a version of Flash that was a new IDE and consolidated Flex and Flash into just Flash, made the IDE as powerful as FDT or FlashDevelop3 there could be hope to bring the platform together. I understand they had to work it in slowly because it was a designers platform really (even though coders still pushed the limits in games and apps built on it) so they had to tip toe carefully on this to not alienate people. But now I think the division is a serious problem with the platform and must be addressed, noone expected Silverlight to be this quick on at least SL3 features. And even though the initial approach might have been bad as SL1 was a huge letdown, Microsoft does not give up and you can see in the XBOX360 and DirectX that they are very pursuant. DirectX really didn’t become huge until version 7 so these guys won’t relent. I am not a huge fan of using the proprietary tools. Even in Flash I use as much open source as I can even though the player is locked, but Moonlight is something that trails Silverlight development and is a very unique thing in both open source and cross platform/multiplatform development. It is a clear relationship and aims to make Silverlight run on multiplatform mono including Linux. This could win out in the end who knows. Great iterations of software happened this week in the latest unity3d version (2.5) that has windows support and the iPhone SDK 3.0 and now SL3 is quite a surprise in feature set. I have been really busy this week just delving into all them and hope to start making more cool and useful projects in them. The best part is right now is great to be an interactive or game developer as all major software companies and markets are focused on retaining good developers. I don’t’ recall a time other than the beginning the the web virtual land rush that has so many options and markets that skilled developers and designers can choose from. Good times. The interactive space is blowing up with releases of really good iterations of software. Just this week the iPhone 3.0 SDK was announced and available for download for developers, Unity3D 2.5 was released with a windows development capability (was previously mac only) and now Silverlight 3 is making some waves as it was released at #MIX09 (with the Moonlight open source mono version hopefully not too far behind…). There are a few things that piqued my interest in Silverlight 3 beta notes and that is hardware acceleration on video, 3d canvas and pixel effects (unclear if these are hardware accelerated like shaders or pixel bender) similar to filters and with the possibility to write effects similar to shaders or Adobe’s Pixel Bender pbx shaders. Live and on-demand true HD (720p+) Smooth Streaming. IIS Media Services (formerly IIS Media Pack), an integrated HTTP media delivery platform, features Smooth Streaming which dynamically detects and seamlessly switches, in real time, the video quality of a media file delivered to Silverlight based on local bandwidth and CPU conditions. More format choice. In addition to native support for VC-1/WMA, Silverlight 3 now offers users native support for MPEG-4-based H.264/AAC Audio, enabling content distributors to deliver high-quality content to a wide variety of computers and devices. True HD playback in full-screen. Leveraging graphics processor unit (GPU) hardware acceleration, Silverlight experiences can now be delivered in true full-screen HD (720p+). Extensible media format support. With the new Raw AV pipeline, Silverlight can easily support a wide variety of third-party codecs. Audio and video can be decoded outside the runtime and rendered in Silverlight, extending format support beyond the native codecs. Industry leading content protection. Silverlight DRM, Powered by PlayReady Content Protection enables protected in-browser experiences using AES encryption or Windows Media DRM. Perspective 3D Graphics. 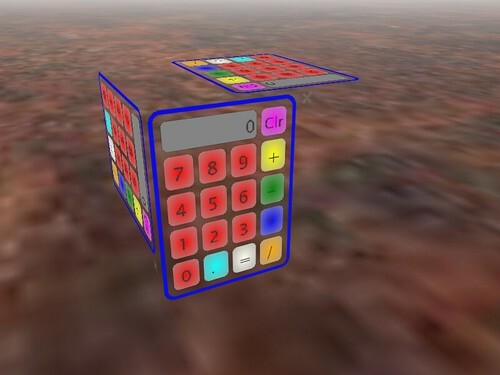 Silverlight 3 allows developers and designers to apply content to a 3D plane. Users can rotate or scale live content in space without writing any additional code. Other effects include creating a queue in 3D and transitions. Pixel Shader effects. These software based effects include blur and drop shadow. In addition, you can also write your own effect. Effects can be applied to any graphical content. An example would be to make a button appear depressed on rollover you could use a drop shadow effect on the pressed visual state. Bitmap Caching. Silverlight 3 dramatically improves the rendering performance of applications by allowing users to cache vector content, text and controls into bitmaps. This feature is useful for background content and for content which needs to scale without making changes to its internal appearance. New Bitmap API. With Silverlight 3, developers can now write pixels to a bitmap. Thus, they can build a photo editor to do red eye correction, perform edits on scanned documents or create specials effects for cached bitmaps from elements on the screen. Themed application support. Developers can now theme applications by applying styles to their Silverlight 3 applications and changing them at runtime. Additionally, developers can cascade styles by basing them on each other. Animation Effects. Silverlight 3 provides new effects such as spring and bounce. These make animation more natural. Developers can also now develop their own mathematical functions to describe an animation. Enhanced control skinning. Silverlight 3 provides easier skinning capabilities by keeping a common set of controls external from an application. This allows the sharing of styles and control skins between different applications. Improved text rendering & font support. Silverlight 3 allows far more efficient rendering and rapid animation of text. Applications also load faster by enabling the use of local fonts. 60+ controls with source code : Silverlight 3 is packed with over 60 high-quality, fully skinnable and customizable out-of-the-box controls such as charting and media, new layout containers such as dock and viewbox, and controls such as autocomplete, treeview and datagrid. The controls come with nine professional designed themes and the source code can be modified/recompiled or utilized as-is. Other additions include multiple selection in listbox controls, file save dialog making it easier to write files, and support for multiple page applications with navigation. Deep Linking. Silverlight 3 includes support for deep linking, which enables bookmarking a page within a RIA. Search Engine Optimization (SEO). Silverlight 3 enables users to solve the SEO-related challenges posed by RIAs. By utilizing business objects on the server, together with ASP.NET controls and site maps, users can automatically mirror database-driven RIA content into HTML that is easily indexed by the leading search engines. Element to Element binding : UI designers use binding between two UI properties to create compelling UI experiences. Silverlight now enables property binding to CLR objects and other UI components via XAML, for instance binding a slider value to the volume control of a media player. Data Forms. The Data Form control provides support for layout of fields, validation, updating and paging through data. New features for data validation which automatically catch incorrect input and warn the user with built-in validation controls. Support for business objects on both client and server with n-Tier data support. Easily load, sort, filter and page data with added support for working with data. Includes a new built-in CollectionView to perform a set of complex operations against server side data. A new set of .NET RIA services supports these features on the server. Application library caching, which reduces the size of applications by caching framework on the client in order to improve rendering performance. Enhanced Deep Zoom, allows users to fluidly navigate through larger image collections by zooming. Binary XML allows communication with the server to be compressed, greatly increasing the speed at which data can be exchanged. Local Connection This feature allows communication between two Silverlight applications on the client-side without incurring a server roundtrip: for instance a chart in one control can communicate with a datagrid in another. Advanced Accessibility Features. Silverlight 3 is the first browser plug-in to provide access to all system colors, allowing partially-sighted people to make changes such as high contrast color schemes for ease of readability by using familiar operating system controls. Life outside the browser. Silverlight applications can now be installed to and run from the desktop as lightweight web companions. Thus, users can take their favorite Web applications with them, regardless of whether they are connected to the Internet or not. Desktop shortcuts and start menu support. Silverlight applications can be stored on any PC or Mac computer’s desktop with links in the start menu and applications folder, and so are available with one-click access. Safe and secure. Leveraging the security features of the .NET Framework, Silverlight applications run inside a secure sandbox with persistent isolated storage. These applications have most of the same security restrictions as traditional web apps and so can be trusted without security warnings or prompts, minimizing user interruptions. Smooth installation. Because Silverlight applications are stored in a local cache and do not require extra privileges to run, the installation process is quick and efficient. Auto-update. Upon launch, Silverlight applications can check for new versions on the server, and automatically update if one is found. Internet connectivity detection. Silverlight applications can now detect whether they have Internet connectivity and can react intelligently including caching a users’ data until their connection is restored. There are so many new, emerging and re-newed market forces in interactive development that things are going to shake up a bit and there is plenty of opportunity no matter what platform you might be locked into. However I recommend not locking yourself into one platform and exploring, but specializing in what you do best. There has never been a better time for developers looking to take the web to the next level with cooler game development visuals, more immersive virtual spaces and applications that have usabililty and design in new ways and mimic the great usable design of the iphone; for developers going mobile or specializing in web game development this is a good time to be in the game. I believe that this new version is pretty stable and won’t require an update soon. There are two known Safari bugs (19202 and 20355) that currently affect the project and we can only hope that they will make it’s way into the next major release of the browser. SWFAddress has grown significantly in the last two years and it’s very likely that we’re going to provide a lite version for users who need just the basic functionality. Very soon the same API will become available for Silverlight and we’re also scheduling the development of a jQuery plugin.